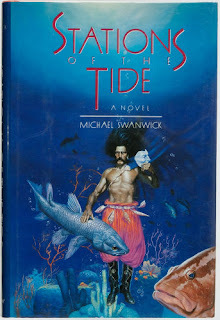 For the June Classic Sci-Fi Meetup, we discussed Stations of the Tide (1991) by Michael Swanwick. 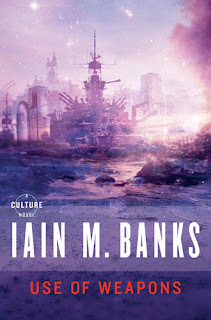 The Nebula-award winning novel is a bit difficult to categorize: set on a planet about inundated by massive floods, it follows a nameless bureaucrat as he attempts to recover some stolen technology. There's lots of magic (maybe), as well as chemically/spiritually/virtually altered reality, AI questions, and shape-shifting aliens. This is a novel that is near and dear to my heart, and I always jump at the chance to hear what people think about it. At Classic, we had decidedly mixed feelings, some really liking it, others really not connecting with it—we generally agreed that it's both really quite weird and extremely well-written, however. Brief notes below! The theme of "copies, sometimes varying" of people was noted throughout the novel, as well as in some of Swanwick's other work. ("Ginungagap" springs to mind). Noted and praised the vivid, surreal imagery throughout the novel. 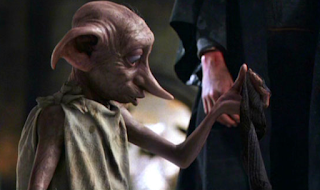 Folks who didn't dig it mostly pointed at characterization that felt very thin. Noted the recurring theme of "rot"—both the aging/decaying biological scenes on the planet, and the decadence and moral decay of the off-world cultures. This brought Ballard's The Drowned World to mind, which we recently discussed. 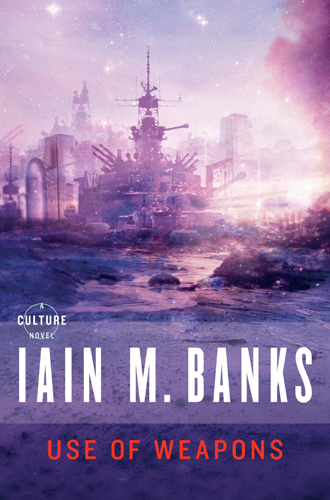 We made a few comparisons to some elements of Iain M. Banks' SF work, particularly some bits of Swanwick's descriptive prose and the long-suffering, slightly smart-alecky briefcase, who reminded us of some of the drones & ships from the Culture books. Also mentioned some resemblance to the Luggage from Pratchett's Discworld books. We talked for a bit about the style of minimal exposition, and the way this story throws us into an extremely weird, complex world without explaining much of it to us. Mixed reactions, some of us really dug it, others felt like it was just a ton of ideas jammed together. Contrasted nicely with the "as-you-know-Bob"-heavy I, Robot from last month. Talked a bit about parallels with climate change discussions, how much to make of the Tempest references, and the many layers of Christian symbolism and allusion here—Gregorian as a kind of Jesus-figure, the Stations of the Cross, Mt. Ararat, etc. Some discussion of the Bureau of Technology Transfer, wondering whether to read them more as a relatively benevolent institution like the EPA, or as an oppressive and at least quasi-colonial force. Wondered a lot about the bureaucrat's finale and what we think of his path there. Lots of discussions of his "perceptual transformations", especially as facilitated by Undine. We also noted that "The Puzzle Palace" is a nickname for the CIA, and worked that into our discussion of the bureaucrat as a fed-up, not quite-washed-up agent. 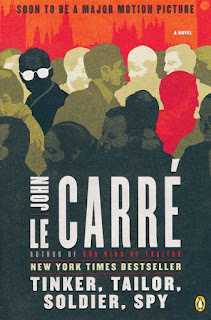 Compared (unfavorably) with Smiley from Tinker, Tailor, Soldier, Spy. Lots of discussion of what scenes were in "real" as opposed to virtual environments, the differences between surrogates and agents, and a few of us were kind of waiting for "they were a robot all along!" reveal—which, on reflection, perhaps Asimov also predisposed us toward. Interesting debate about what constitutes "ripping off" ideas, opposed to the benefits of allusion-rich works...there are definitely a lot of references here. The Gom Jibbar scene jumped out at us, having just read Dune, and there's a lot more—Gene Wolfe & C.L. Moore riffs were among some we mentioned, as well as some strong resonances with Heart of Darkness. Really good question about why the bureau is so interested in Gregorian, because there's a number of different answers (that aren't necessarily exclusive)—he's a serial-murdering con-man, he's actually got dangerous transformative tech, he's an actual wizard, or perhaps he is or has some connection to the supposedly-extinct shape-shifting Haunts. Lots of discussion about the very end and wondering what the transformed briefcase and bureaucrat are all about. AI-unshackling described as a "Dobbby here have some socks moment". The ideas about AI, freedom, and transformation—especially in this religious/magical, slightly voodoo context—brought us to talk a little bit about Neuromancer/Wintermute and their descendants in Gibson's Sprawl stories. We also wondered, at length, what it took for the bureaucrat to decide to change, and what these changes might potentially hold for the planet. Wrapped up by revisiting some of the other themes throughout—transformation particularly, but also the way the novel is consciously playing with a lot of framing/storytelling ideas. Fun discussion! Gosh I like this book. Next times: for July, we're reading David Gerrold's The Man Who Folded Himself, and for August we're reading A.E. van Vogt's The Voyage of the Space Beagle, possibly as a kind of space-opera kick-off. Keep up with Classic Sci-Fi on their Meetup page.